How Far is VGN Harmony? 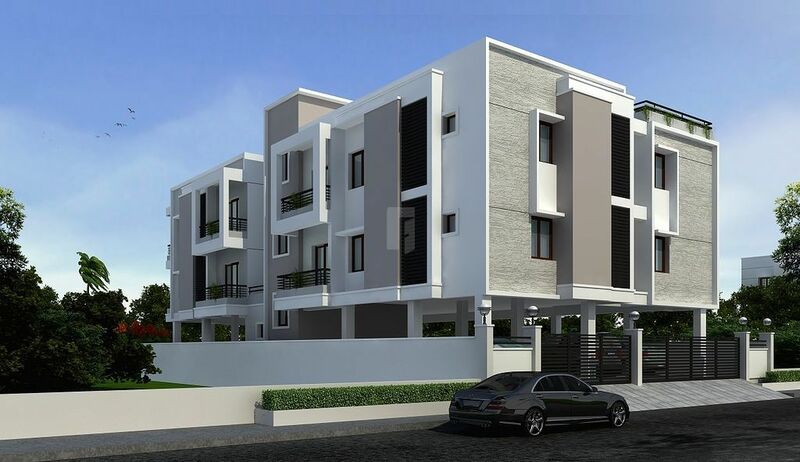 VGN Harmony is VGN Homes Private Limited’s latest residential project in Chennai. This 2 floors, 2 towers project comes from a developer who has a history of using authentic materials and making use of space in a modern way. In VGN Harmony you will find not only beautiful but also high quality Apartments / Flats. It is conveniently located at Mogappair West in Chennai city. The nearest landmark is Near Green Valley School. The front road width is 20 Feet. 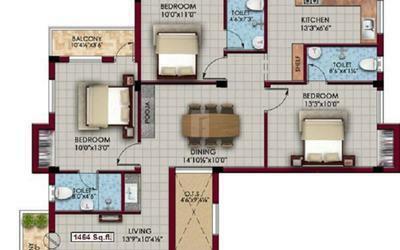 The project offers 3 BHK Apartments / Flats within 1135 - 1544 Sq.Ft. This project by VGN Homes Private Limited is in in progress stage. 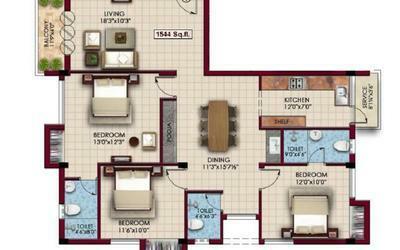 The luxury homes are available at attractive price starting from 73.01 Lac. 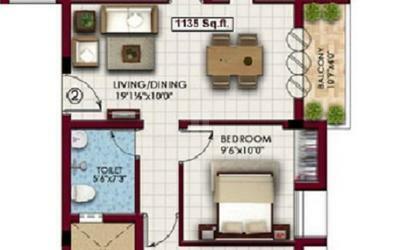 The project is approved by leading banks such as AXIS,HDFC,ICICI,LIC,SBI,. Crafted to perfection these upscale apartments offers covered car parking, covered two wheeler parking and amenities like Lifts,Kids Play Area,Theatre,Park,Basketball Court,Badminton Court,Fire Safety,Planned Avenue Plantation,Walking / Jogging Track,Corporation Water. The lifestyle and amenities at VGN Harmony were conceived with wide open views to give you a peaceful living environment with the correct mix of work and play amenities. Vitrified tiles 2' x 2' in lobby area and Granite in Staircase area with skirting. Ceiling painting with OBD over putty and putty with acrylic emulsion for walls. Vitrified flooring tiles 2' x 2' for Living, Dining and Bedroom with 4" skirting. Vitrified matt finish flooring for kitchen and wash area, Kitchen counter top to be provided 20mm thick Black Granite slab polished in Cement mortar and ceramic dado 2' above kitchen platform. Toilet flooring will be anti-skid ceramic tiles. Dadoing upto a height of 7'0" using ceramic glazed tiles in toilets. Main Doors: Teak wood frame with compressed panel shutters. Engineering wood frames solid core skin moulded shutter. Engineering wood frames one side PVC coated flush shutter 30mm thick. Ceiling painting with OBD over putty in all floors. Putty with acrylic emulsion for interior walls. One coat of white cement. One coat of primer and two coats of exterior emulsion (Asian paints weather shield ultima) Melamine matt finish painting. Enamel painting. Cable TV and telephone points provided in the living. Wiring will be made to install a split AC in Living and all bedrooms. Jaguar / Equivalent DG Backup for common area and individual apartments.